Strong men and women grow in all situations and become heroes whenever one is needed. In the fantasy world of the kindergarten playground, my son, Kal'el, was playing knights and dragons with his friends. They'd gathered just about every boy in class to go slay a deadly dragon, which had been terrorizing the swing set. One small red-head girl wanted to join the fun. The boys refused to let her play because she was "a girl." Kal'el was baffled. Why wouldn't a girl be up for the challenge of dragon-slaying? Kal'el comes from a family where mom is a professional sword fighter, archer, and former women's jousting competitor. Dad is also a sword fighter, archer, martial artist, and military sharp shooter. Mom and Dad work and fight equally as a team. Kal'el stood up to his peers and convinced them to let a girl join their army. Turns out, she could slay dragons with the best of them. I truly believe that all humans are created equal. Even those born with disabilities or in impoverished circumstances are given great gifts, understanding, and abilities in other areas that, in some cases, can be considered super human. Equal doesn't mean that we are all the same. We are supposed to be different so we, as a family and society, can learn to work together. Human beings have an amazing ability to adapt and evolve. The instinct to grow can be as powerful as our instinct to survive. 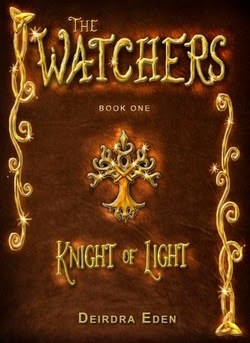 This is one of the major themes throughout the whole Watchers Series. The main character, Auriella (Aura), is born and lives in a society and time when girls, especially of her social status, didn't have opportunities for education or growth, let alone a chance to be a hero. 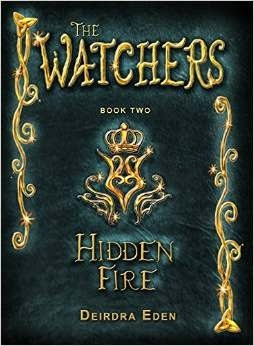 The characters in The Watchers Series are as diverse as they come: male, female, dwarf, human, dragon, pixie, noble, peasant orphan, young, aged. Many of the Watchers come from countries all over the world. No matter the situation, whether tragic or triumphant, they find ways to grow and develop into something stronger. They must learn to work together, despite differences, to defeat Erebus and the Shadow Legion, just as we, no matter our gender, race, age, circumstances, etc., are capable of great things. A kind act may seem small to you, but it might make a big difference to someone else. Who has been your hero?